« Food containers: let’s reduce waste! The International Agency for Research on Cancer has therefore classified formaldehyde as a chemical carcinogen to humans “based on the acquisition and evaluation of new studies. The international working group, formed at the International Agency for Research on Cancer has determined that formaldehyde causes cancer in humans naso-pharyngeal, a rare cancer in developed countries. The hazard classification of the European Community the substance as carcinogen category 3 and risk phrase R 40 (of a carcinogen effect – insufficient evidence) in 1996. However, formaldehyde is used in industry as the “sanitizing” and as “preservative” that is used to reduce microbial contamination of environments and products. On the first of these uses have long been known substances such as glutaraldehyde and peracetic acid, which serve very well as sanitizers for industrial environments but that have acute toxicity studies much more reassuring. 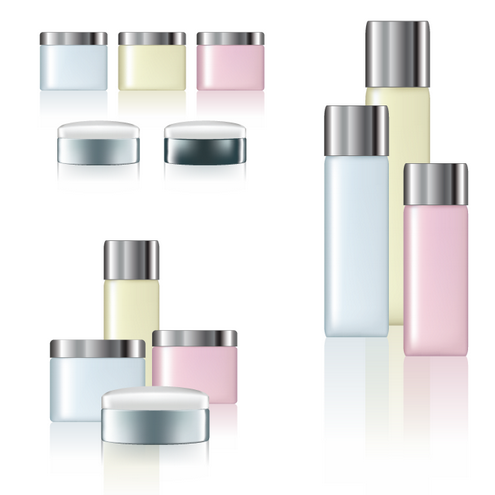 Concerning the second use, namely its use for preserving cosmetic products, it has been, until the 80’s, widely used for storage of both finished cosmetic products of certain raw materials components cosmetics and detergents (was used for example for the conservation of alchilsolfati which are still the most widely used surfactants in these two sectors). The European Community has long banned the use of formaldehyde in finished products ready for use. The course regarding raw materials, however, was longer and more arduous, but today we can be reasonably sure that it is no longer present in the surfactants used, at least for those produced by European and U.S. multinationals. Of course this is more difficult to secure raw materials from developing countries (primarily China): nevertheless, the European Union, for example, requires a certificate of analysis on raw materials imported extra-EU and supervision of local bodies, but of course anything can escape. Although the use in finished products, as said earlier, has long been banned in Europe, it is worth to make notice that it is permissible to use substitutes for formaldehyde, two molecules in fact, precisely imidazolidinyl urea and diazolidinil urea are allowed as antimicrobial preservatives in cosmetics, but act as a ” formaldehyde cessor”. This means that, during the life of the product, they give away formaldehyde inhibiting bacterial growth within the product. Although the concentrations of formaldehyde in the game are significantly lower than those used years ago, a risk to human health may still exist, especially with prolonged use (think of the everyday products such as shower gel, shapoos, beauty cream and after shave). But it is simply to recognize them and stop the use of the product taking care of your health. Since 1993 in Europe the EU Directive requires that on cosmetic products will be clearly written in teh label the ingredients of the product through the “INCI” (International Nomenclature of Cosmetic Ingredients). According to this nomenclature, the names of the two molecules that release formaldehyde are “Imidazolidinyl urea” and “Diazolidinyl Urea“. Just make sure that there are no ingredients list on the package and we can use the product we are buying more peace of mind.